Tiki Taka means finest one touch football which was perfected by Pep Guardiola and his FC Barcelona. The aim of Tiki Taka Run is to kick the ball forward and score a goal as soon as possible. But be careful and avoid the enemy players. Will you beat all 24 teams and earn the golden boot? 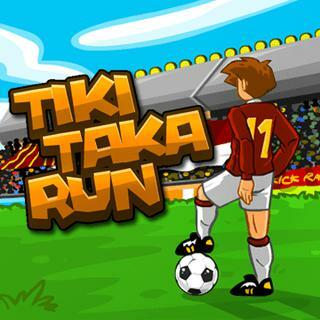 Tiki Taka Run - Find Tiki Taka Run in our vast HTML5 games catalogue. Only the best and newest HTML5 games for all audiences. Guaranteed success with Famobi.